THURSDAY, April 7, 2016 (HealthDay News) -- Delaying a second shock to the heart in hospital patients with cardiac arrest doesn't improve their chances of survival, suggests a new study that challenges current recommendations. A patient undergoing cardiac arrest needs to be treated with a defibrillator, which sends an electric shock to the heart to restore normal heart rhythm, according to the U.S. National Heart, Lung, and Blood Institute. Guidelines introduced in 2005 recommend delaying a second shock after the first one to allow time for chest compressions. But evidence to support that advice has been lacking, the study authors said. The authors -- led by Dr. Steven Bradley of the VA Eastern Colorado Health Care System in Denver -- looked at data on the time between first and second defibrillation attempts. The study included more than 2,700 cardiac arrest patients from 172 U.S. hospitals. About 25 percent of second defibrillation attempts were delayed in 2004. That number rose to just over 50 percent in 2012, the study showed. But survival rates didn't improve. Further research is needed to determine if the guidelines need to be changed, the study authors said. The study was published April 6 in the BMJ. 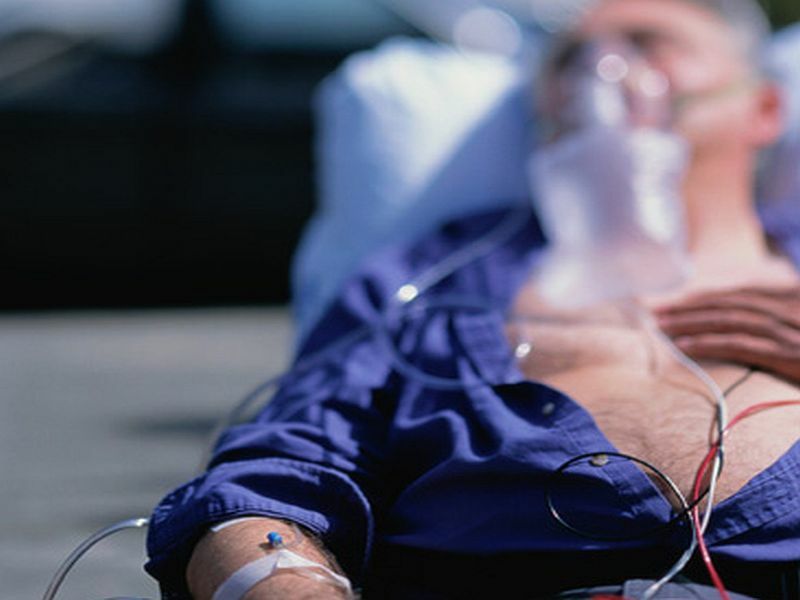 Another study in the same issue of the journal found that early administration of epinephrine (adrenaline) in the hospital is associated with poorer outcomes among patients with cardiac arrest and a shockable heart rhythm. Epinephrine has long been used to treat cardiac arrest patients. But there are different recommendations for its use. For example, the American Heart Association recommends epinephrine after the second defibrillation. The European Resuscitation Council recommends it after the third defibrillation. However, patterns of actual use suggest epinephrine is used even earlier, such as after the first defibrillation, researchers said. The study -- led by Dr. Michael Donnino of Beth Israel Deaconess Medical Center in Boston -- included nearly 3,000 cardiac arrest patients from more than 300 U.S. hospitals. More than half (51 percent) of these patients received epinephrine within two minutes after the first defibrillation, the study showed. Patients who received epinephrine at this point were less likely to have good outcomes, including surviving until hospital discharge, compared to those who weren't given epinephrine at this point. The two studies' findings should help guide treatment of cardiac arrest patients, an accompanying editorial said. "The finding of widespread nonadherence with clinical guidelines should prompt those responsible for organizing or delivering advanced life support to review their practice and ensure that it is informed by the latest clinical guidelines," experts from the Warwick Medical School in Coventry, England, wrote in the editorial. While "the jury remains out" on the safety or effectiveness of adrenaline in cardiac arrest, "adrenaline should be given in accordance with current guidelines, and it should be deferred until at least after the second shock has been delivered," the editorial concluded.